These post are gonna be shorter and shorter the following days. It’s not that much to write about. I get up, Katja’s already gone. I eat breakfast, spend a little time in the room before yoga. Work related stuff for a while, then anther session of yoga. I get Katja back after dark and we go for dinner somewhere, or eat take out. End of the day. I could report on being able to touch my toes in angles previously denied me. 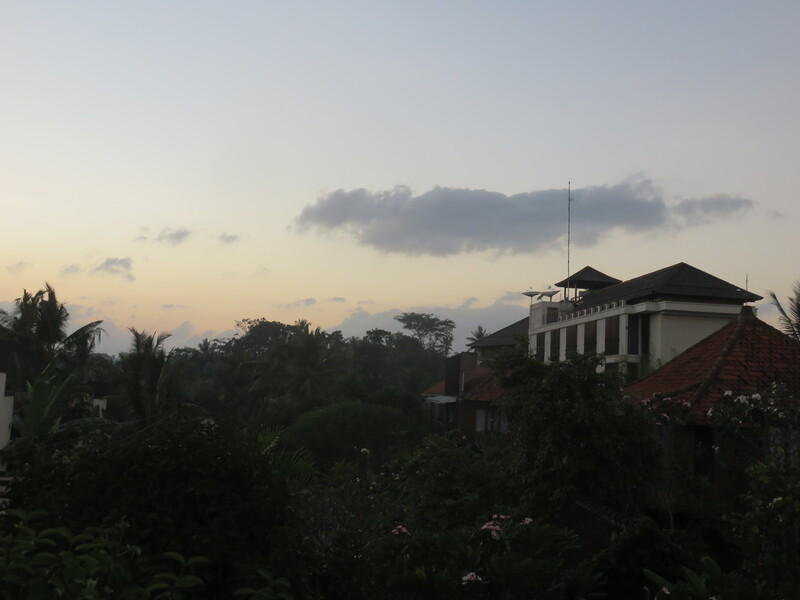 Or maybe tell how I now know the back roads here in Ubud to avoid the traffic jams that constantly seem to appear. Tell a tale of my interactions with the locals could also fill a page or two, but we’ll see. Maybe there will be more in the following days, then again maybe not. These days surely blur into one with a pretty set routine.